It’s hard to believe that winter is almost here. It seems like yesterday we were just getting our yards and patios ready to host summer barbecues and pool parties, and now we’re beginning to think about winterizing plants and trimming tree branches. Winter is the best time to trim and prune trees and shrubs because they’re dormant. With winter around the corner, here are some tips to consider when deciding whether to trim or prune your trees. It’s important to make sure that you have the right tools for the job. Greenworks 60V 10-Inch Brushless Pole Saw is great for those higher branches that are hard to reach. On a fully charged battery, this lightweight pole saw will run for an hour and extend up to 8 feet. 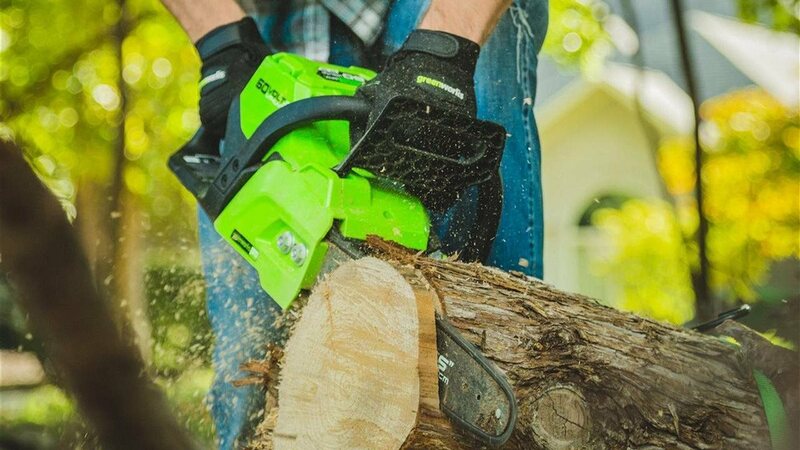 The Greenworks 60V 16-Inch Cordless Brushless Chainsaw is perfect for those larger trimming jobs. It provides you with up to 90 cuts on a fully charged battery with a chain brake that halts the chain to prevent accidental kickback. For more information, visit www.greenworkstools.com.